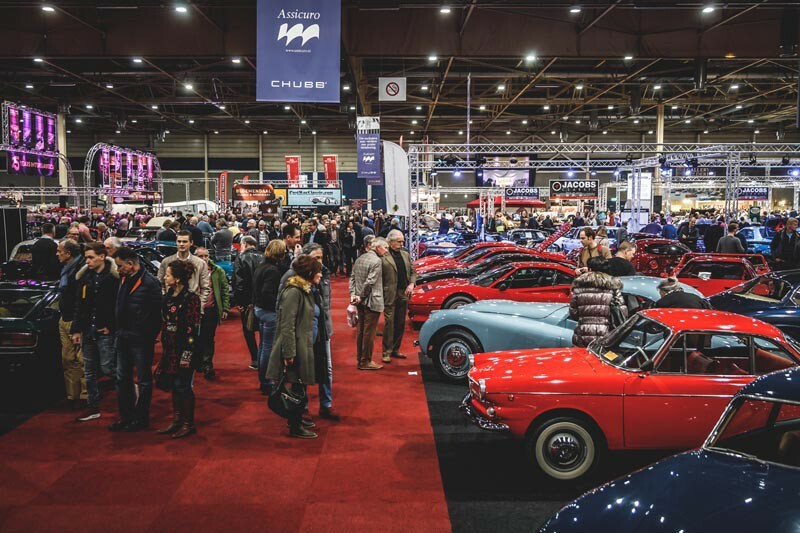 From 11 to 14 January 2018 Maastricht was dominated by the 25th edition of InterClassics Maastricht. The anniversary edition of this classic-car exhibition that has grown to become one of Europe’s most prominent classic-car events. On the basis of the 18 themes that have been conducted over the years, a unique collection of 18 top pieces was presented, based on 18 themes that have characterised the event over the years. The most beautiful and exclusive classic cars were exhibited. Naturally, a wide stage was also offered everything related to classic cars, from parts to automobilia. In 1994, it was the Oldertimerclub Gronsveld that organised the first edition of InterClassics in one of the MECC Maastricht exhibition halls. MECC Maastricht has organised the event since 1996. Initially born as InterClassics, the exhibition has undergone several name changes over the years. In 2003, the name was changed to ‘InterClassics & TopMobiel’ and because of the expansion of the event to include a Belgian edition, InterClassics Brussels, the name was changed in 2015 to ‘InterClassics Maastricht’. Long since familiar to attendees, the central themes at the exhibition have not always been a regular element in the event. In 2003, the first theme was introduced and since that time, 18 different themes have been used. The 2014 edition even had three central themes: ‘Maserati: 100 years’, ‘Pre-war race legends’, and ‘Mustang big-screen heroes’. Ferrari is the only brand that has been featured twice. In 2008, the event spotlighted ‘60 years of Ferrari’, and during the last edition, all eyes were once again on Ferrari when 25 prime specimens from the history of 70 years of Ferrari were on display. Over the last quarter century, the exhibition was attended by a total of 400,000 visitors. The growth in visitor numbers, from several thousand during the first edition in 1994 up to and including the expected 30,000 for the upcoming edition, forms a solid foundation for the future. 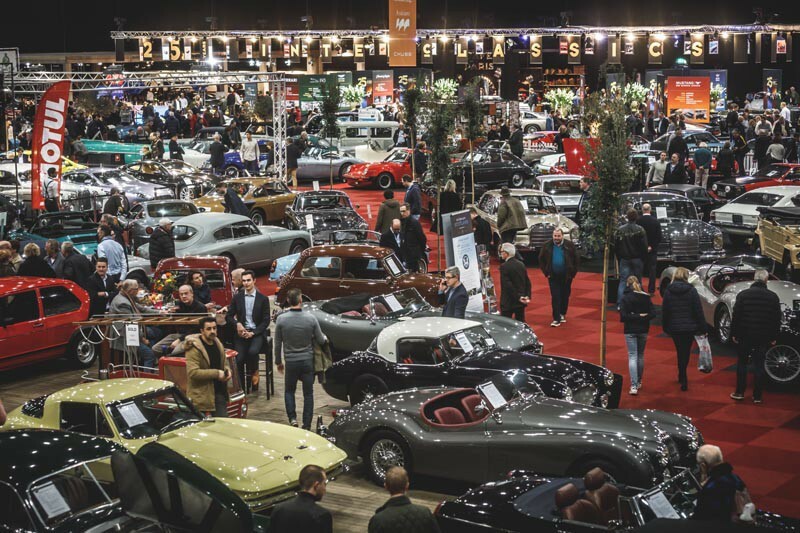 In 2015, the InterClassics team saw the expansion of the event with the addition of the successful ‘little sister’, InterClassics Brussels. 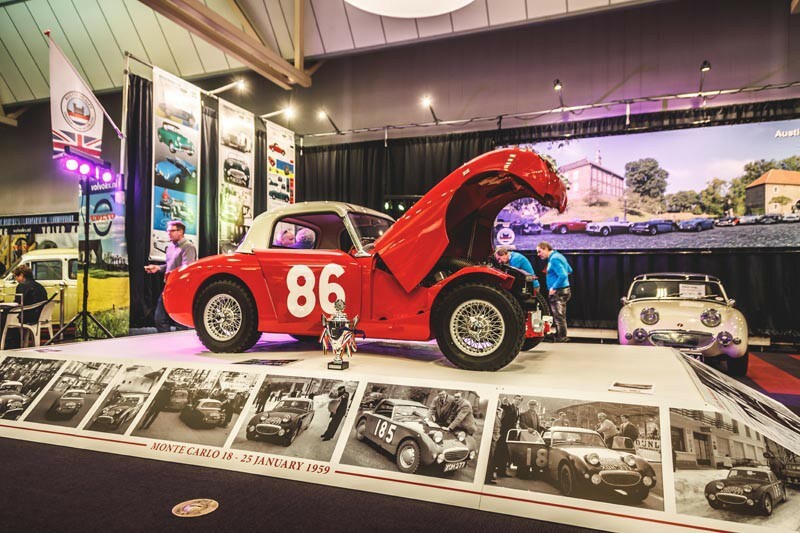 The history of the world-famous Ferrari brand was the main theme at the 24th edition of InterClassics Maastricht (12 through 15 January 2017). 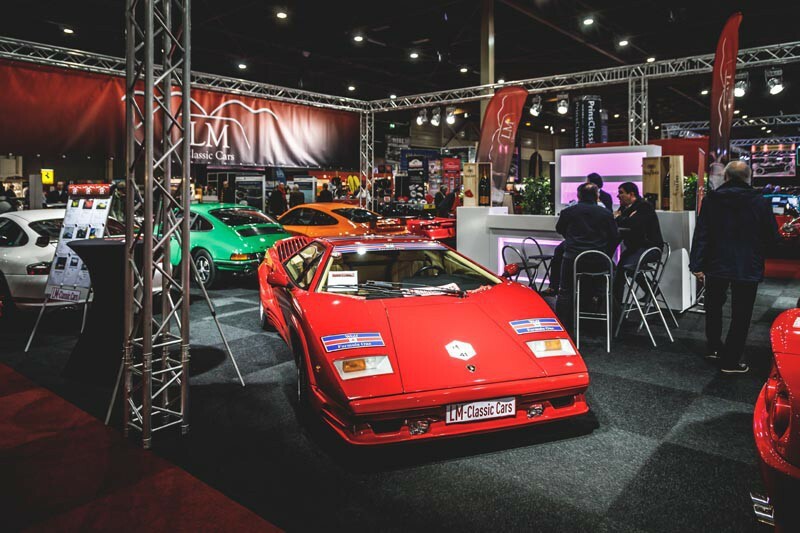 In cooperation with the Ferrari Club Nederland, this company’s illustrious history was on show at the theme pavilion, with over 20 Ferraris on display. Ferrari 250 GT SWB Berlinetta Competitione For 70 years now, Ferrari has bestowed traits such as timeless elegance and power upon its successful fleet of vehicles. Since the start of the Formula 1 in 1950, Ferrari has also been inextricably linked to victory and speed. A gorgeous collection from the Enzo Ferrari era was on display at InterClassics Maastricht, including the Ferrari Ferrari 250GT SWB Berlinetta Competitione from 1960, the 166 MM and the F40. The Ferrari 500 Superfast SpezialePrince that belonged to Prince Bernard was also on display. The Louwman Museum made this car available on loan for the event. Facel Vega Facel director and founder Jean Daninos considered the Facel Vega HK 500 to be the best Facel ever built. The impressive sports car easily achieved speeds of 240 km per hour, making it the fastest (four-seater) production car in the world for years. The cars weren’t cheap, but the interiors were often regal and the shiny details on the body were always made from stainless steel. And like the very first Facel, the FV1 from 1954, these also were built with the reliable V8 engine from Chrysler. Although the luxury French car brand went bankrupt in 1964, it still gets enthusiasts’ hearts beating faster. In cooperation with Amicale Facel Nederland, around ten unique models were displayed. This put the Grande Routières high on a pedestal; these top-notch cars still make a deep impression. 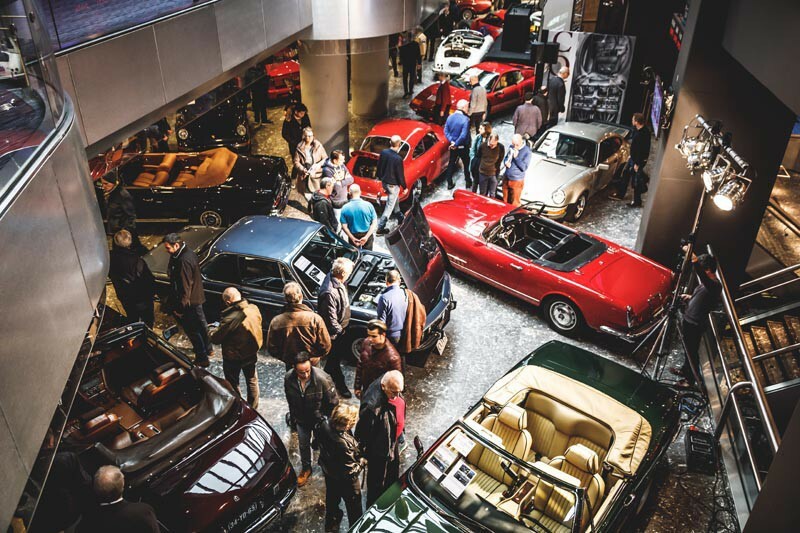 In cooperation with the BMW Klassieke Autoclub Nederland, the main theme, ‘100 years of BMW’ was presented in Maastricht with an extensive and exclusive collection of 25 classic cars. The second theme was British Royals: Bentley & Rolls Royce. Additionally, in cooperation with De Mascotte, the Bentley & Rolls Royce Owners Association, visitors were treated to a visual presentation of the history of these unique British classics. BMW 100 Years BMW is in a perpetual state of motion, in the air, on the road and in the sport of racing. A lot has changed in a little over 100 years. Brilliant developments, impressive technology and a huge commitment have made BMW the brand that feels at home all over the world, from the first high-altitude carburettor to the standard production hybrid vehicle. British Royals Bentley Motors Limited is a manufacturer of luxury automobiles and sports cars, and was founded in England in 1919 by Walter Owen Bentley. After World War I, Bentley was known for its sports cars that participated in the 24-hour Le Mans race, and which often won these races. Rolls-Royce Limited was a British producer of cars and aeroplane engines. The company was established in 1906 by Henry Royce and Charles Rolls. In 1931, Rolls-Royce acquired competitor Bentley, and both brands released nearly identical models on the market up to the 1970s. During the 2015 edition of the exhibition, a unique collection of Grand Prix cars was one of the showpieces. In cooperation with the Historische Auto Ren Club (HARC) and the Historic Grand Prix in Zandvoort, the main theme, Grand Prix Classics, was presented with an expanded, exclusive collection of Grand Prix classics including Graham Hill’s 1967 Lotus 49 R3 and the John Player Special Lotus 79 which Mario Andretti drove during the 1978 racing season. The second theme was ‘80 years of Jaguar’. 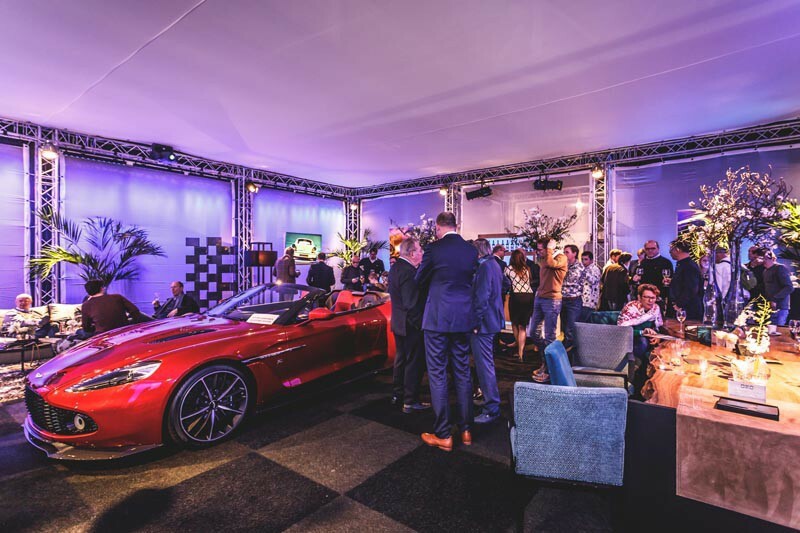 The 80th anniversary of the English brand was celebrated in cooperation with the Jaguar Daimler Club Holland (JDCH). A couple of the most famous racing Jaguars put in an appearance in Maastricht: the Jaguar XK120 'NUB 120', the Silk Cut XJR9 which Jan Lammers drove when he won Le Mans, and the Ecurie Ecosse D-Type with chassis number XKD 606 from the Louwman collection, which was red-flagged as winner during the 1957 24-hour Le Mans. The 2014 edition of the exhibition was absolutely packed with exclusive classics. In cooperation with the Maserati Club Holland amongst others, the 100-year history of Maserati was presented at TopMobiel with 30 exclusive models, including one of the prized specimens from the Louwman Museum: the Maserati 8CM Monoposto Grand Prix Car. Visitors could also admire four unique Maseratis from the Panini collection, namely the Eldorado 420M58, the Tipo 61 Birdcage, the A6GCS Berlinetta Pinin Farina and the 6CM. A car frequently featured by film and TV producers, the Ford Mustang was also in the spotlights that year. One of Ford’s most striking models, the Mustang stands out thanks to its sporty exterior and is perfectly suited to wild chases. This is also why the Mustang has played a role in many a Hollywood blockbuster. Six ‘film heroes’ will be on display at the ‘Mustang Big Screen Heroes’ Show Pavilion including those used in the films Gone in 60 Seconds, Goldfinger, Bullit, Diamonds Are Forever, Thunderball and Charlie’s Angels. 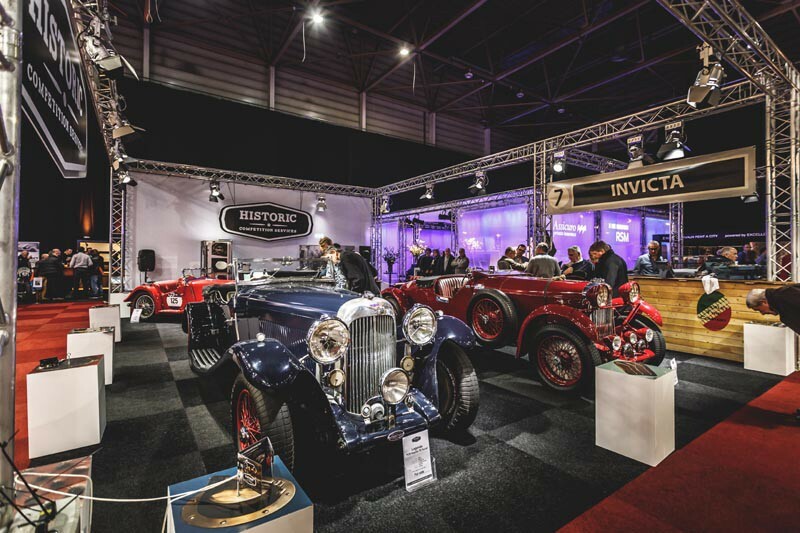 After the success of a double theme in 2012, two themes were also showcased at the 2013 edition of InterClassics & TopMobiel. For the first time in the event’s history, the decision was taken to feature an English brand in the main theme, specifically ‘100 years of Aston Martin’. In cooperation with Aston Martin Owners Club NL and others, exceptional specimens from the history of the brand were presented in a unique manner. The second theme that was chosen was ‘Bugatti Grand Prix Cars’. Like Aston Martin, Bugatti is one of the classic car brands that appeals the most to the imagination. Ettore Buatti’s gorgeous designs, the exclusivity and the racing successes during the 1920s and 1930s lie at the foundation of this appeal. Together with several enthusiastic collectors, the organisers set up a show pavilion with solely Bugatti racers on display. The 2012 edition of InterClassics & TopMobiel zeroed in on a double theme. Porsche and Mille Miglia: two legends in the history of racing that are inextricably linked to one another. The Mille Miglia (Italian for ‘1000 miles’), three days and several laps that start and finish against the historic backdrop of the city of Brescia. This is an honest, legendary rally for classic race and sports cars from the period between 1927 and 1957. The most unusual classics from this period that are still on the road all over the world help keep the myth alive. The German brand Porsche participated in the world-famous rally from 1952 to 1957 thus forming a timeless combination with the Mille Miglia. In cooperation with Porsche Nederland, the history of Porsche was presented in a very special manner. At an exhibition held during the 2011 edition of InterClassics & TopMobiel, around 80 beautiful Mercedes-Benz models were the focus of the 125th anniversary of this exceptional car brand. There is a fascinating story behind most of the cars exhibited. Unusual stories One of the models exhibited was the 1938 230 Cabriolet B which was used in the Dutch filmZwartboek. The 1936 260D, also on display in Maastricht, was the first passenger vehicle with a diesel engine. At the time, it reached top speeds of 90 kilometres per hour! What is so unique about this car is that it has remained completely intact as a diesel vehicle and has not been driven until it fell apart, as is usually the case with most diesel cars. The 2010 edition of InterClassics & TopMobiel was dominated by the 100th anniversary of Alfa Romeo. In cooperation with the Stichting Club van Alfa Romeo Bezitters (SCARB) and others, this brand made an indelible mark on visitors during the anniversary celebration. Around 70 unique Alfa Romeos from all over Europe, including a few from the Alfa Romeo museum in Arese (Italy), were exhibited on the Maastricht show floor in timeline form, definitely a first for fans of the Italian car brand. In addition to the models from Alfa Romeo, there were also countess classics from other car brands in the various price categories at InterClassics & TopMobiel, much like the many stands with new and used spare parts, car-related memorabilia and classic-car clubs. The rich American car history from 1900 to 1980 was the heart and soul of InterClassics Maastricht & TopMobiel in 2009. A unique presentation of American classics served as a smashing backdrop during the event. On the occasion of the 60th anniversary of Ferrari and the 25th anniversary of the Ferrari Club Nederland, the 2008 edition of InterClassics spotlighted the Ferrari brand during the exhibition. In collaboration with the Ferrari Club Nederland, a unique collection of Ferraris were brought together, nearly all of them belonging to club members - and formed the centrepiece of TopMobiel that year. 60 Ferraris were on display as an ode to the 60th anniversary, portraying the brand's history, from the 166 from the 1940s up to the current models, with an emphasis on the classics. The showstopper was the legendary 1962 250 GTO. 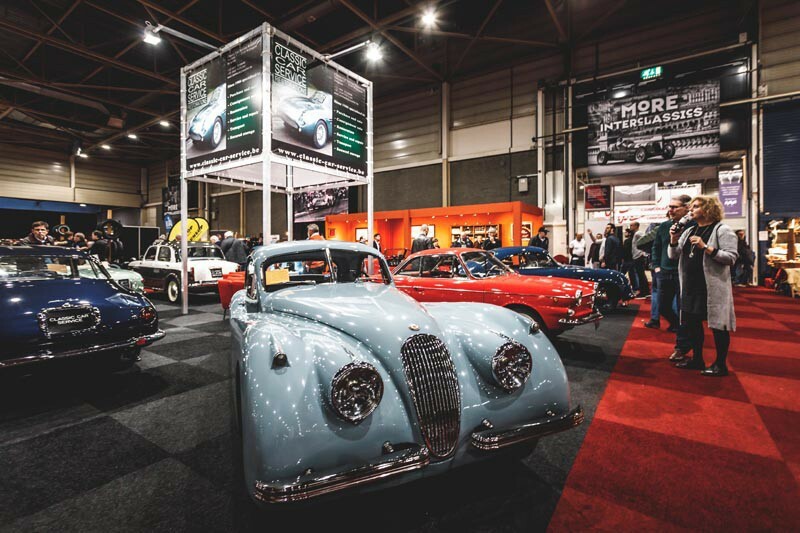 In cooperation with Jaguar Nederland and the Jaguar Daimler Club Holland, visitors to the 14th edition of InterClassics & TopMobiel were taken on a journey through the extensive history of this renowned brand. The 50th anniversary of Facel Vega was also put in the spotlights. That was the year the exhibition was supplemented with a new event, TopMobiel Holland. 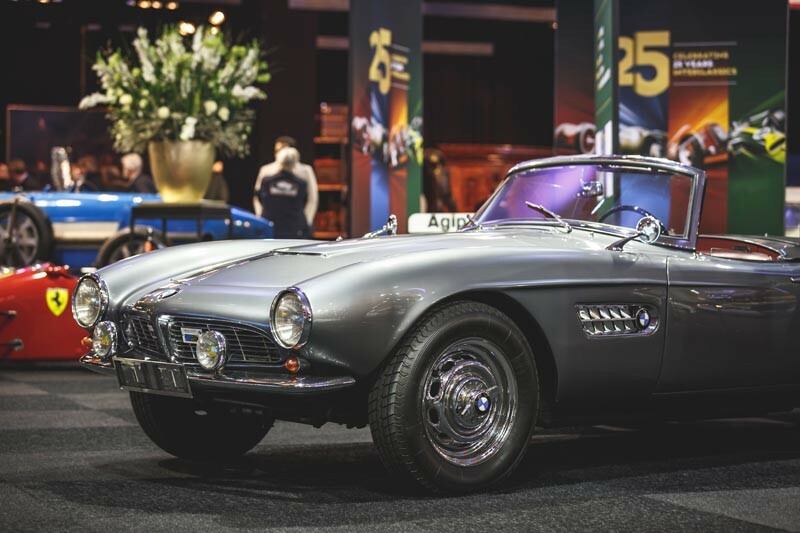 A separate exhibition hall was reserved for the display of 40 very exclusive and extravagant classics, on display and offered for sale in stylish stands. The prestigious Jaguar brand was literally and figuratively the common thread tying both exhibitions together. Visitors received a map upon entering the venue which led them via the InterClassics halls to the Jaguar Nederland stand at TopMobiel Holland. 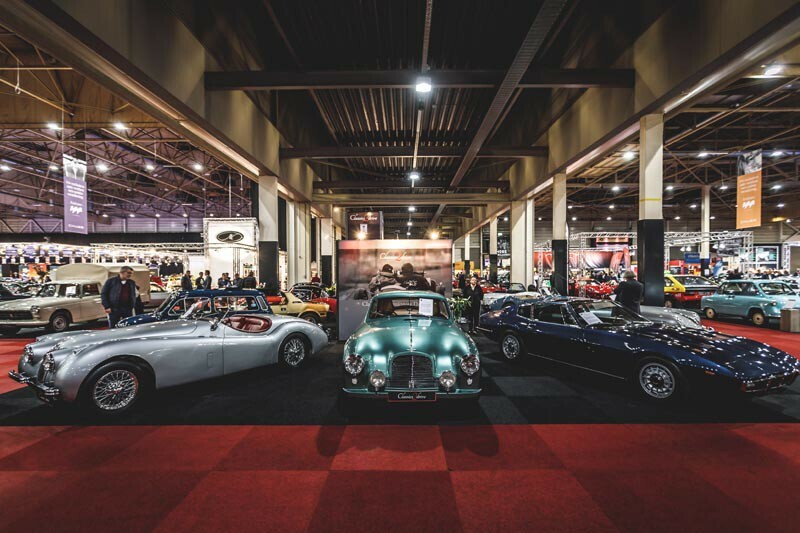 Plotted out in cooperation with the Jaguar-Daimler Club Holland, the special route offered a journey through time, displaying the highlights of the history of this famous brand in various locations in the halls. Starting out as manufacturers of side car engines in 1922 under the name SS, the brand has grown to become one of the biggest car brands of all time. For obvious reasons, the name was changed to Jaguar Cars Ltd. after World War II. The classic car exhibition InterClassics was held during the second weekend of 2003 at MECC Maastricht. The theme that year was ‘Disegno Italiano (Italian Design)’, and the exhibition featured a tribute to the most important Italian coachbuilders. One of these was Carrozeria Touring, the name behind the lines of one of the most famous classic sports cars in the world, the Aston Martin DB5. This car became famous for its role in the film Goldfinger; it was the car driven by Her Majesty’s Secret Agent, James Bond, chassis number 007. It is part of the Louwman Collection and was shown to the general public for the first time during InterClassics Maastricht in 2003.